If you’re getting into the Paleo lifestyle to try and get yourself healthier but are having trouble finding the right recipes that suit your taste buds, here are some delicious Paleo recipes that will not only help you undo some of the effects that all the additives have caused but also keep your palate happy. Meatballs and gravy hold a soft spot in my stomach as I grew up on my mom’s meatballs. Plus, you get to choose how big or small you make them, and how crispy the outside you want them. 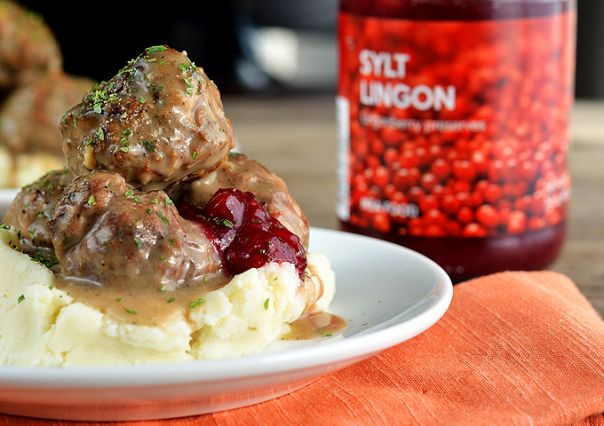 These Swedish meatballs come to us from Sharon at Plated with Style and they’re so yummy and filled with flavor. She definitely uses a lot more spices than my mom did but the cinnamon, nutmeg and cloves mixed right in with the rest. Want a less messy way to enjoy Buffalo wings? Turn them into buffalo chicken meatballs. The meatballs may throw you off, but just to clarify, these aren’t made of meat, they’re made with ground chicken. You can also use ground turkey as the recipe gives you the option to enjoy it. To make it healthier, Lindsay at Veggie Balance adds some flaxseed to the recipe which gives us a more dietary fiber with the meatballs. 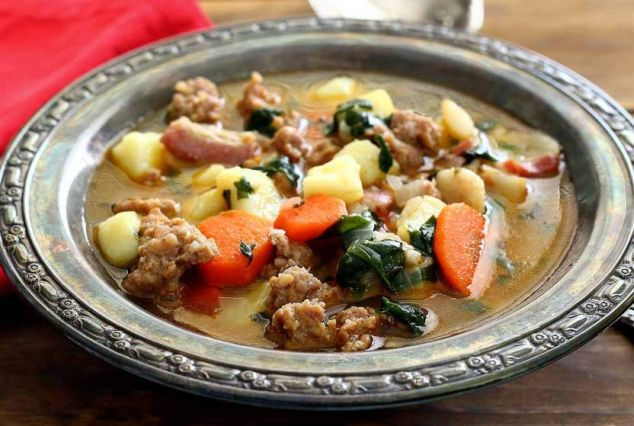 If you’re looking for something that’s homey and comforting, this hearty soup is filled with flavor and ingredients. You can enjoy it for lunch and dinner, or reheat some of the leftovers for breakfast. With soups, broths and stews I like cooking a bit extra and storing them in the fridge. This lets the kids pull it out and reheat them anytime they want something to eat. Plus, the broths in these dishes get more flavorful over time. While I love burgers and meatballs, I’m not that great a fan of meatloaf. This one however is worth trying it packs quite a bit of flavor. There’s an extra surprise in flavor as our friends over at Paleo Schmaleo add some chorizo with the beef. The chorizo along with the paprika, and onion powder really kick up the taste and make it different from the usual catsup-y flavored meatloafs we often see. From Sweden we go to Persia. 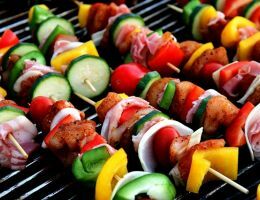 These kabobs are simple to make and use just a few ingredients to make them easy for anyone to follow. It’s one of those recipes where you let the main ingredients do the talking for you. I also like that the kabobs are baked which makes the beef much more tender. I was so curious what zoodles were I had to look and see… they’re zucchini noodles! This creative alternative to noodles and pasta lets you enjoy something that’s both Paleo and also much healthier. The zucchini doesn’t pack as much calories and won’t give you blood sugar a spike either. Very simple, light and enjoyable, this is great to enjoy for lunch as well as a mid-afternoon snack. Here’s a twist on schnitzel. Instead of your usual veal or pork, why not use chicken (breasts, skinless). It’s lean, and more tender. This is a simple recipe that’s easy and quick to make at home when you want something that’s flavorful yet won’t take you a lot of time to make. Almond meal and coconut flour help make this Paleo worthy so you don’t have to deal with refined white flour. Pound cake is something I can sit down and keep eating. Unfortunately most store baked pound cake will really make you pack on a ton of unwanted calories. Here’s a healthier option that uses sweet potato. 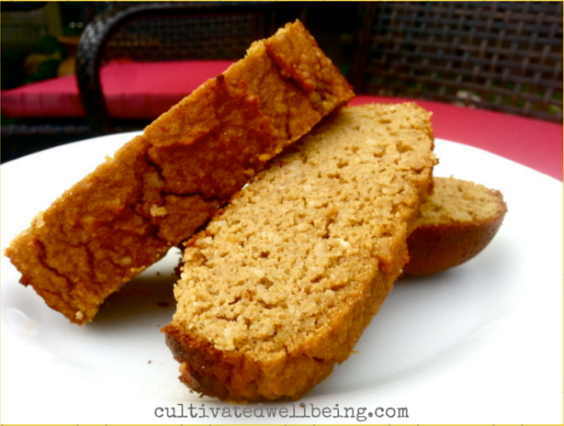 The recipe is grain free, dairy free and gluten free. Plus it is high in fiber and has a low glycemic index. This will let you enjoy it better without the guilt. I love pancakes. I remember my mom making us pancakes right out of the box back when we were young. Here’s a much healthier alternative. It uses no processed ingredients and you get to use more nutritious ingredients like bananas and berries. I was quite curious to try this because I’ve never tried using bananas for making pancakes before… but it definitely works! The banana gives it a bit more sweetness compared to the store bought batter and you also get extra vitamins and fiber with this recipe. Another alternative to making Paleo pancakes use sweet potatoes. The recipe only requires 4 ingredients plus salt & pepper. Like the banana pancakes above, this gives you filling breakfast so you have all the energy to take on the day ahead of you. The sweet potatoes are complemented by spinach which adds more nutrition to this breakfast dish. 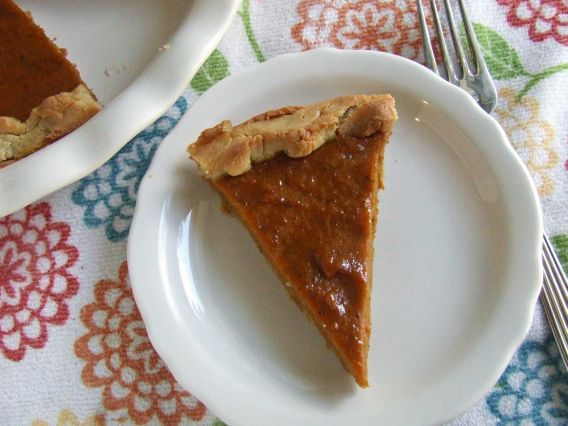 Try this Paleo pumpkin pie the next time you have guests over. It’s free of any refined flout as well as white sugar. This one comes to us from Cassidy over at Cassidy’s Craveable Creations, that’s a handful to say wasn’t it? It uses coconut milk which I thought change the flavor profile and somewhat add a nutty taste to it, but it doesn’t. Definitely something you should bake at home. This recipe combines 2 of my favorite things, sweet blueberries and muffins. I love muffins but hate how commercially made muffins are loaded with so much white sugar and refined ingredients. This way does away with those so you can enjoy something healthier. One of the things I also like about muffins is that you can make extra and leave them in the fridge. Whenever you’re in a hurry or need a snack on the go, you pack a few in a plastic bag and go. I’m not a great fan of Brussels sprouts but do eat them because of their healthy benefits. My mom forced me to eat them when I was a young girl, so now I’m making my kids eat them too… hehehe (evil laugh here)! This is definitely something different as you don’t often see pomegranate and brussels spouts in the same kitchen, much less the same recipe. 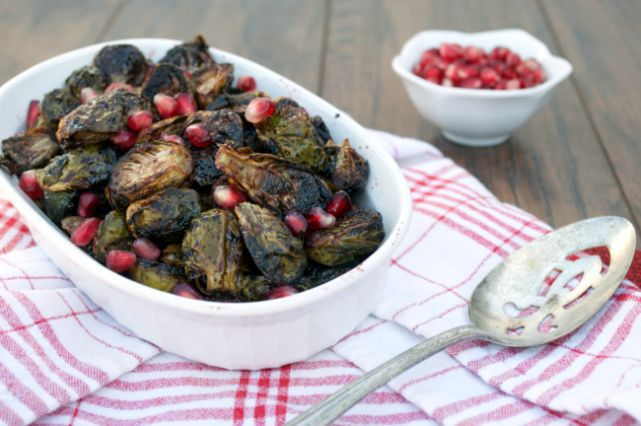 This one turns out quite good as the ghee, pomegranate and balsamic give you a good flavor profile so you don’t end up tasting all brussels sprouts. Something delicious to give you that extra protein punch for your workout, this red velvet recipe comes in bite sizes, and is topped with chocolate. There’s chocolate as well as, cacao. 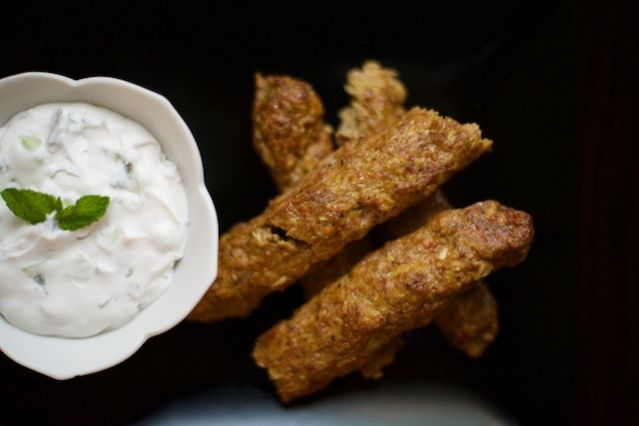 This is a vegan recipe that’s also gluten free, so what more can you ask for? You’ve got the protein punch, the chocolate, the delicious taste and no gluten. Food & Nutrition, Recipes. permalink. Cast Iron vs. Non-Stick Pans: Which is Better for Health?